If you wish to purchase advance tickets to the Saturday concerts, call Killington Central Reservations at 800.621.6867. Advance ticket may be ordered by phone through the day prior to the performance.Tickets may be purchased the day of the performance beginning at 6pm at Ramshead Lodge. Tickets sold at the concert are cash or personal local check only. The Killington Music Festival has an incredible ability to affect inspiration and subsequent change not only in the musical aspects of a student's life, but also in professional and personal capacities. Over five brief weeks spend at the festival last summer, the KMF faculty challenged me to grow musically, professionally, and personally in measures unmatched by any other single experience of my life. Truly, it is no stretch of the truth to say that the Killington Music Festival inspires life-changing improvement and insight in every way." "The summer I spent at KMF was one of the most productive and enjoyable summers I’ve had musically. The faculty were extremely knowledgeable and friendly, and the friends I made were all very encouraging and supportive of each other. Everyone had the opportunity to perform solo works in master classes and recitals, and every chamber group performed music from the most exciting and challenging repertoire. I would highly recommend KMF for any interested students." Each summer the Killington Music Festival awards scholarships to many of our residency students. This past year the Festival awarded scholarships to the best and most talented students. Each year we turn away many dedicated students because we cannot offer them financial assistance. They need our help. Your gift can help us attract more highly talented and deserving young artists. Now in its 37th season, the Killington Music Festival, a non-for-profit organization, is the only resident professional classical music organization in central Vermont. 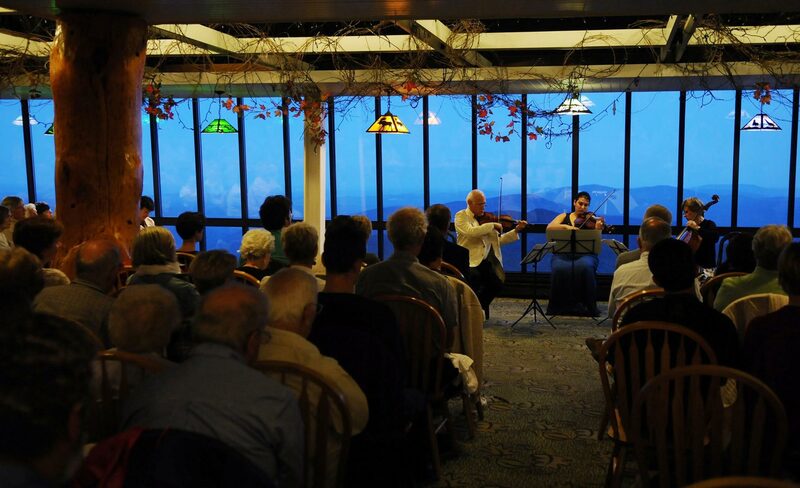 Each summer students gather at Killington from institutions such as the Juilliard School of Music, Boston Conservatory, The New England Conservatory, The Manhattan School of Music, Peabody Conservatory, Eastman School of Music and the University of Arizona. These musicians come to the area to play chamber music and to teach students.